A decade of improving RFID technology has helped retailers learn how critical inventory is to sales volume. 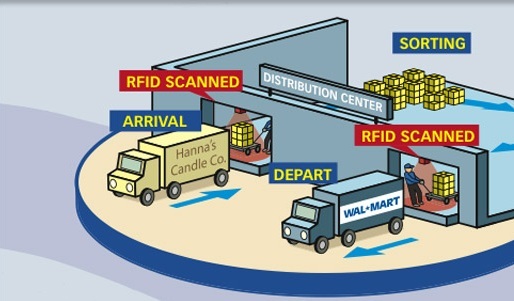 RFID has also shown advantages throughout the supply chain. German retailer has reported time savings of 70 percent in warehouse inventories and 10 percent greater accuracy in factory-picked orders. But the implementation of RFID has been always concentrated on end retailers as opposed to the entire supply chain. Wal-Mart announced it was going to require its suppliers to tag every case they delivered to the retail giant. That strategy petered out, but it drove numerous RFID investments, McBeath said. An encoded tag that cost 50 cents a decade ago now sells for less than a dime. European retailers Marks & Spencer and C&A tag 100 percent of their apparel, while American Apparel, Zara and Macy’s heavily use the technology as well, McBeath said. One European retailer told McBeath that at first he was struggling to convince management to tag all items at the retail level. But the results of a few pilot programs had executives scrambling to convert the rest of the chain as fast as possible. Apparel (think jeans and lingerie) comes in a wide variety of colors, sizes and styles, making it difficult to keep everything in stock. Lost sales result. Implementing RFID on these high-mix, complex items makes inventory management easier and, in some cases, results in a sales increase of 10 percent or more, according to McBeath. Still, RFID is not yet ready for every sector. It doesn’t work well near liquids or metal, and the margin on grocery items is too low to justify the investment, McBeath said, adding that few retailers are using RFID from start to finish throughout their supply chains. If an organization’s supply chain is robust with a low error rate, the ROI based on supply chain alone is not as compelling as increasing store sales.